The death of Dame Zaha Hadid at age 65 this year gave the artistic community chance to reflect on a fearless visionary who succeeded not only in bringing countless works of art to life, but in remaking the very fabric of architecture itself. Branded by many as the world’s greatest female architect, Hadid’s legacy will no doubt live on through the many and majestic buildings for which she is responsible. Yet it wasn’t with a building but with a series of drawings, paintings and sketches that Hadid first appeared on the world stage. In contrast to the experiments with spatial concepts for which she later became known, these early works cut a jagged form and borrowed heavily from early Russian avant-garde artists. Impressive though they were, and despite some early recognition from her peers, it took the better part of two decades for any actual building work to start. Not until her 40s did Hadid really explore this new world of “floating forms and fragmented, visionary cityscapes”, as described by the Financial Times. Arguably her drawings were too ahead of their time, and their abstract leanings led many to the conclusion that, while they were undeniably impressive on paper, they were ultimately unbuildable. It would take a decade for technology and tastes to catch up, though when they did, Hadid’s creations were still revolutionary. When in 1982 Hadid won a competition for the design of the Peak Leisure Club in Hong Kong, the architecture community finally sat up and took note. Its “excavated subterranean spaces, distinctive horizontal layers and floating voids” were encased “within a unique ‘geology’”, according to Zaha Hadid Architects. However, the landmark project was abandoned not long after, and it would take another 10 years for Hadid to find a commission befitting her talents. Her first official project, commissioned by Rolf Fehlbaum, CEO of furniture company Vitra, was a fire station not far from the German-Swiss border. While relatively modest in scale, the commission gave Hadid the opportunity to finally display her talents. The completed building, again according to Zaha Hadid Architects, “defines rather than occupies space – emerging as a linear, layered series of walls, between which programme elements are contained”. Unfortunately, it was deemed unfit for purpose, and here began Hadid’s reputation for designing what some have called ‘unbuildable’ buildings. Challenging as they are, her polarising visions are part and parcel of what makes her meteoric rise to the top so interesting, and so inspirational. No stranger to controversy, she was seen by many as a fiercely independent maverick, and one whose divisive style has been imitated perhaps more than any other designer living or dead. Her most famous structures – mostly cultural institutions – have an elastic, alien quality to them. Few buildings are as thrilling or as structurally complicated as hers. Born in 1950 into a well-to-do and politically active family in Baghdad, Hadid attended the American University in Beirut and studied mathematics, before moving to London in 1972 where she studied at the Architectural Association. It was here that she met her friend and mentor Rem Koolhaas. Although the two competed for many of the same jobs, Koolhaas’ was among the most heartfelt tributes paid to her in the days after her death. Speaking to architecture and design magazine Dezeen, Koolhaas called Hadid a “combination of beauty and strength”, and spoke of the contribution she made to his and others’ lives. “She was somebody with a rare kind of courage”, he said. “It was not constructed courage but an inevitable courage, she was just made that way. It was an almost physical thing.” The Dutch architect also expressed surprise that some obituaries had described her as a British, as opposed to an Iraqi, architect, and said her roots in Baghdad had been hugely influential in informing her work. 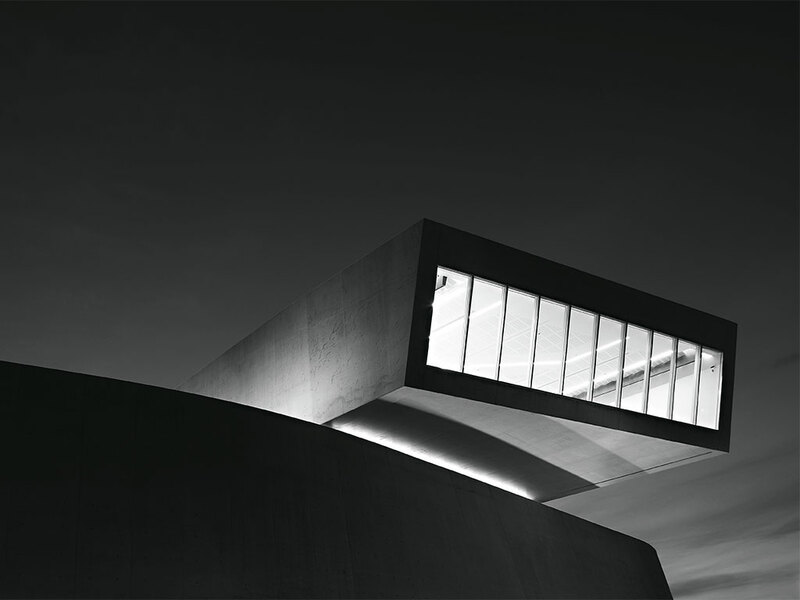 Establishing her practice in 1979 on the strength of positive responses to her drawings and paintings, Hadid struggled to attract commissions prior to that now-famous fire station in Basel. Interested in the concept of fragmentation and the linked ideas of abstraction and explosion, Hadid’s unique architecture philosophy did little to endear her to risk-averse clients. However, once the commissions started to roll in, her place in the architectural pantheon was assured. Arguably the commission that cemented her status as a world-leading visionary came in the 21st century with the Rosenthal Centre for Contemporary Arts in Cincinnati (CAC). On hearing of her death, the CAC’s Director, Raphaela Platow, called Hadid “one of the world’s most inspirational and important architects” and recalled the time when The New York Times called the construction itself “the most important American building to be completed since the Cold War”. Conceived as a “dynamic public space”, the building was unlike anything seen before in the world of architecture, and it came as little surprise when, in 2004, Hadid was awarded the Pritzker Architecture Prize – widely considered to be the equivalent of the Nobel Prize for architecture – for her built, theoretical and academic work. After that, she had a hand in the design and development of countless incredible buildings dotted around the world, many of which have cemented something close to landmark status. The Phaeno Science Centre in Wolfsburg, Germany is one such example. Described at the time as an “architectural adventure playground”, according to Zaha Hadid Architects, Phaeno was constructed in 2005 as a complex, dynamic and fluid space, and in many ways epitomises her design aesthetic. Typically for Hadid, the building challenged formal conventions and jarred with the city’s existing sites. It demanded to be seen and admired. On the other end of the spectrum, the Z-shaped Evelyn Grace Academy in London, completed in 2008, at long last cemented Hadid’s reputation in her lifelong place of work. Likewise, the London Aquatics Centre was purpose-built for the 2012 Summer Olympics, with its fluid geometry mimicking that of water in motion, an idea that again encapsulated Hadid’s engagement with the landscapes in which her buildings were located. In keeping with her polarising disposition, some of Hadid’s commissions attracted wide-ranging criticism. For example, a $1bn commission for the new Iraqi Parliament Building was labelled highly inappropriate for a country in the midst of an economic recovery, while her stadium for Qatar’s 2022 World Cup was criticised for the human rights abuses exposed in its construction phase. Perhaps her biggest setback, however, was just last year, when her plans for the 2020 Olympic Stadium in Tokyo were controversially scrapped after construction costs skyrocketed. Certainly, Hadid was no stranger to hostility, and her success in what remains a male-dominated industry was surely one reason for her notoriously thick skin. Her accession to stardom earned her the nickname ‘Queen of the Curve’, while her success did much to dispel the notion held by a misguided few that there was no career path for women in the world of architecture. When she won the Pritzker Prize in 2004, she was the first woman to do so, while in 2016 she was the first woman to win the RIBA Royal Gold Medal for architecture. Though far from the only female architect to have received widespread critical acclaim, Hadid is perhaps the first to have achieved true celebrity status and smashed clean through the glass ceiling. Months on from her death, men and women alike hold her up high as an inspiration and an example of what can be achieved with an independent spirit and a passion for the new. Years – if not decades – from now, her buildings will remain, and so too will her influence.